Home LIFESTYLE	GET ON BOARD FOR THE HIPPEST 2018 CRUISE IN AMERICA-THE SOUL TRAIN CRUISE! 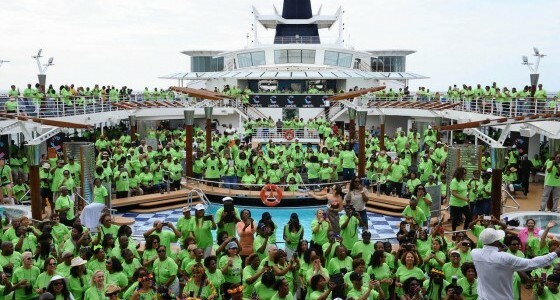 GET ON BOARD FOR THE HIPPEST 2018 CRUISE IN AMERICA-THE SOUL TRAIN CRUISE! Everyone remembers ” Soul Train” the hippest dance show in America next to “American Bandstand”. Soul Train proved to be worth the wait when it hit the airwaves in the 70s and showed off the latest and greatest in soul music. The dance moves became a national sensation in the mid-1970s and had become a pop culture that broke new ground for African-American entertainment. At the inspiration of DJ. Don Cornelius, ” he produced a pilot episode and named it “Soul Train” after a local radio promotion he had done in Chicago. The pilot impressed the Sears Roebuck Company, which gave Cornelius some funding in exchange for the rights to use Soul Train to promote a line of record players. With the help he received, Cornelius launched Soul Train on WCIU-TV, a Chicago UHF station. It premiered on August 17, 1970, as a weekday series airing from 4:30-5:30 pm. Cornelius himself hosted the dance-extravaganza, which took place on a club-set. The show featured performances by soul musical acts, appearances by guest hosts, and great dance numbers from the Soul Train Gang. Local word-of-mouth made Soul Train a big hit in Chicago, which won it another sponsor in The Johnson Products Company, makers of Afro-Sheen”. By the mid-1970’s, Soul Train was not a force to be reckoned with and of course, the rest is history. “Soul Train” would go on to become the longest-running nationally syndicated dance show in history, airing from 1971 through 2006. LIVE AND IN CONCERT WITH THE LEGENDARY SMOKEY ROBINSON! 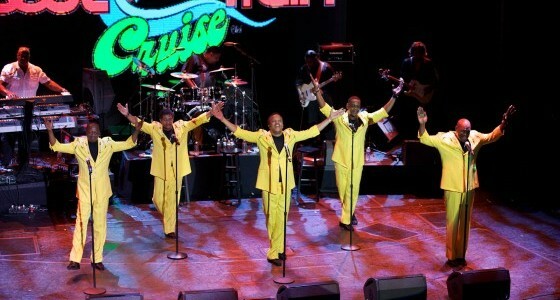 A BACKBEAT R&B EXCLUSIVE INTERVIEW WITH “CHI-LITES” MARSHALL THOMPSON! OMG A BORING FREE SOUL… WORKOUT !